Check your Hurco WinMax software version on your control. 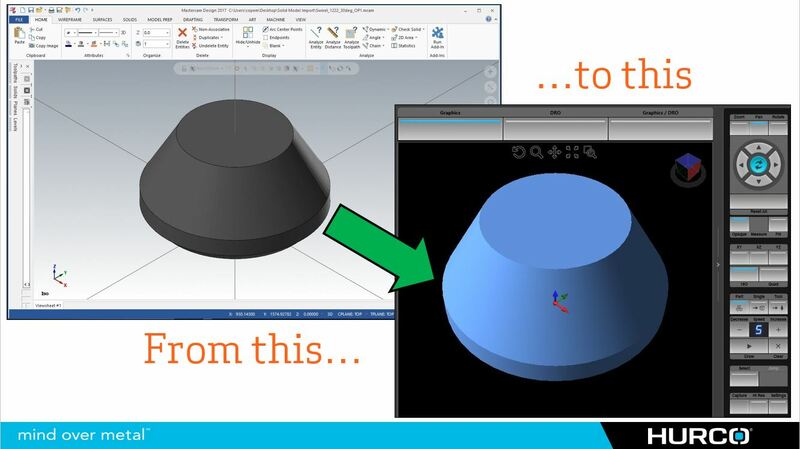 If your machine has version 09.1.312.19 or higher, or version 10.1.148.35 or higher you will have the ability to import an STL file for stock geometry. There are many reasons that the ability to import a solid model into the control, to be used to represent stock geometry would be very helpful. The two that immediately come to mind for me are secondary operations and machining castings. For either of these the simple options of a box or cylinder won't work, so we are forced to use wireframe instead of the more desirable solid or show all option of the WinMax graphics. Here is a quick video that briefly explains the feature and shows how to use it. Give it a try!